With much of the country already sweating through the dog days of summer, a new company is offering four-legged friends a much-needed place to cool down. 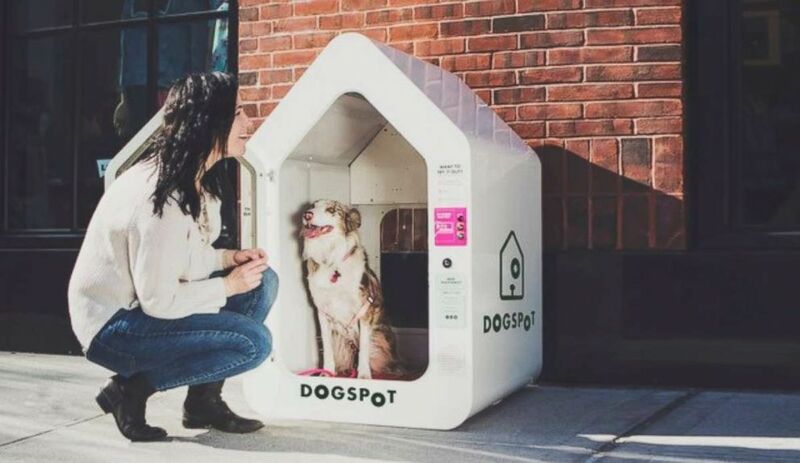 Air-conditioned houses for dogs are popping up outside of restaurants and stores across the country thanks to a company called DogSpot. 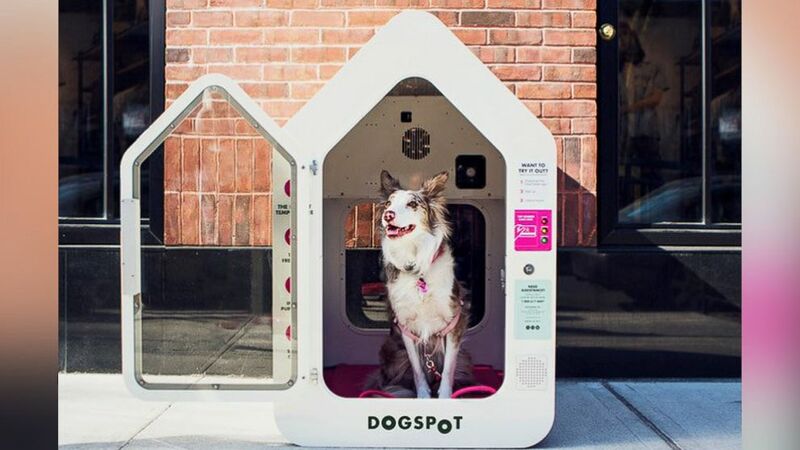 (DogSpot) DogSpot is expanding to dozens of cities across the U.S.
DogSpot offers fully air-conditioned and ventilated mini-houses where dogs can stay while their owners eat a meal inside a restaurant or run a quick errand. The service for dogs operates similarly to the way Uber works for humans. Dog owners use an app to reserve a nearby house for their furry friend up to 15 minutes in advance. Amazon employees share space with as many as 6,000 dogs in Seattle. The dogs were photographed at a dog daycare center in Ohio. Washington, D.C., is expected to feel like 108 degrees on Tuesday. The owner can unlock the house via the app, and then also monitor their dog on the app through a webcam. The fee is 30 cents per minute or a $19.99 monthly membership. “The average stay is around 15 minutes,” said Brownridge. “Which is exactly what we designed it for, to be able to live an active life with your dog but allow the dog to be comfortable too." Brownridge created DogSpot after her experience living with her rescue dog, Winston, in Brooklyn. (DogSpot) DogSpot founders Chelsea Brownridge and Todd Schechter pose with Winston, the inspiration for DogSpot. She added, “There are all these things you do every day in a walkable city like New York where dogs aren’t allowed to go inside." In cities not as walkable as New York, dogs may be left behind in cars by their owners. It takes 10 minutes for the inside of a car, even with its windows left slightly open, to reach 102 degrees on an 85-degree day, according to the American Society for the Prevention of Cruelty to Animals (ASPCA). On a 70-degree day, the inside of a car can be as much as 20 degrees higher, proving dangerous for dogs, notes the ASPCA. Some states and local governments have laws prohibiting leaving animals in cars in dangerous situations, like heat. Brownridge said she supports those laws amd wants to be "part of the solution." "We want to make [DogSpot] the safest, cleanest, best-monitored space to give pet parents the comfort of knowing their dog is safe," Brownridge added. Brownridge and her co-founder, Todd Schechter, said they worked to launch the company on nights and weekends while they both still had full-time jobs. 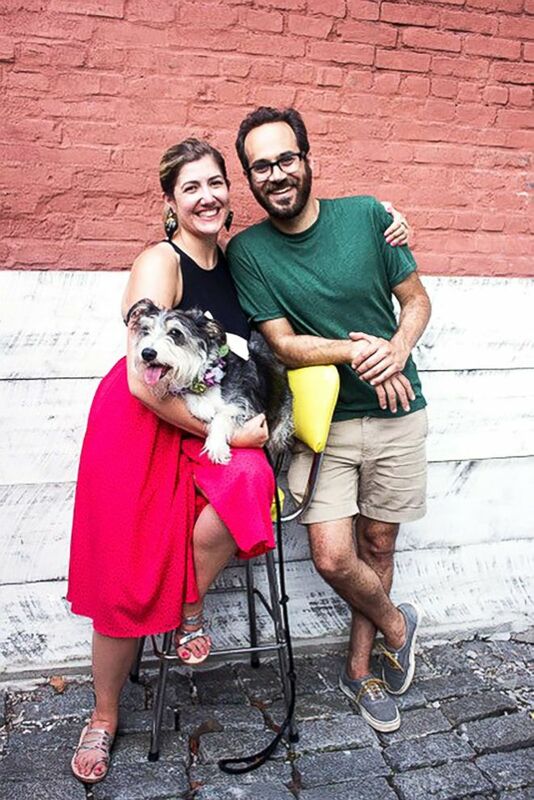 (DogSpot) DogSpot was founded by a Brooklyn-based dog owner. They placed prototypes throughout Brooklyn and soon had a membership of around 1,000 dog owners. To address safety concerns, the DogSpot houses are only accessible to the owner of the dog currently using the house. There is also no anonymity, as DogSpot has each user's name, phone number, and credit card information on file. The houses self-clean after each use via UV lights and are manually cleaned each day. In the winter, the houses activate a heated floor. (DogSpot) DogSpot users can pay for each use or have a monthly subscription. 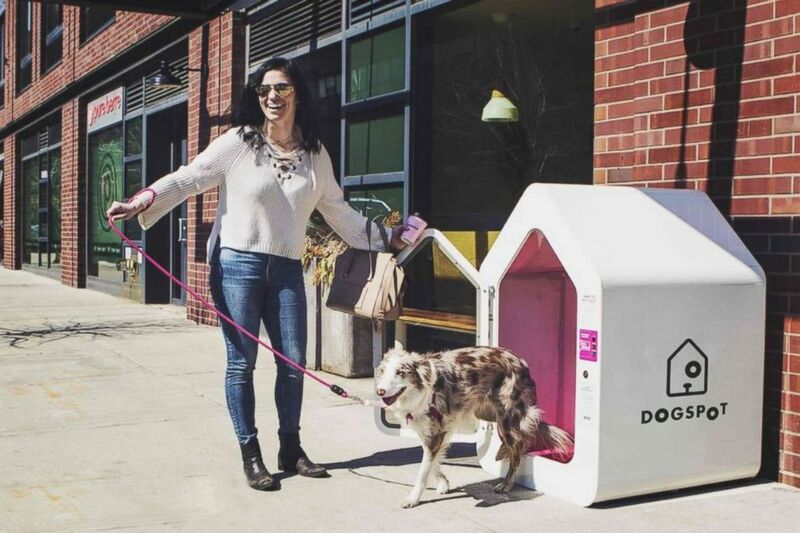 Two restaurants in Ferndale, Michigan, are among the first to use DogSpot houses as part of the company’s national expansion this month. DogSpot's founders say they have received letters of invitation from officials in cities like Orlando, Florida, and Kansas City, Missouri as well. 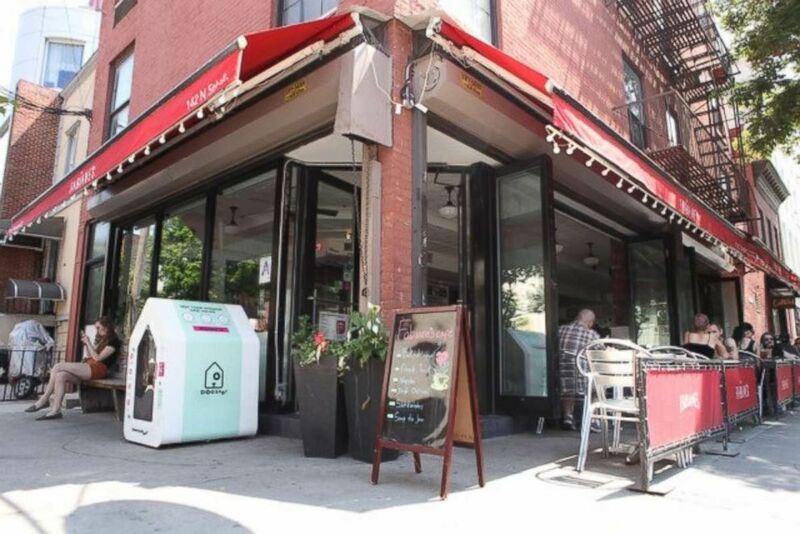 (DogSpot) DogSpot offers an air-conditioned space for dogs to wait while their owners are indoors. DogSpot plans to launch in Los Angeles, Boston, Washington D.C., as well as Orlando and Kansas City. DogSpots will also be available in Chattanooga, Southhampton, New York, Columbus, Ohio, and Charleston, South Carolina this year. New features coming soon include the ability to play music for your dog inside the house and to talk to your pet if he or she needs comforting, DogSpot says.